These rescue studs have been designed by a farrier with over 25 year' experience of shoeing horses. 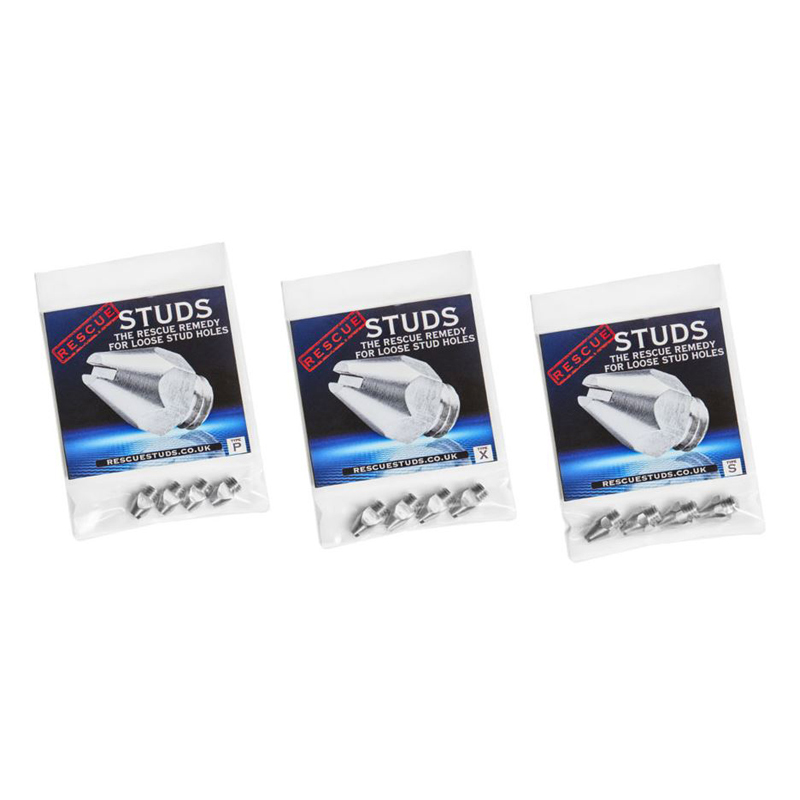 With their innovative design and precise engineering, these studs provide a solution to loose fitting studs that won't tighten. These studs are suitable for all types of equestrian activities. Type S - Recommended for soft ground. Type X - Recommended for good to firm ground. Type P - Recommended for firm to hard ground. It will tighten up into the loosest of stud holes and can also be fitted into a new, fresh stud hole. An absolute necessity to have a selection of these in your stud kit. They have a unique slot that will enable you to tighten the stud with a coin or anything you have to hand, in case it loosens seconds before y enter your class or competition.